Please join us on the private dining mezzanine at Cactus South Lake Union for a special tequila tasting and four course dinner. If you haven’t tried ultra-premium tequila, now’s your chance. $25 per person refundable deposit required to reserve your spot. This event is closed to reservations, sorry. Avocado, Serrano chiles, lime, radish. Jalapeno cream, blistered corn + rajas salsa. Ancho chile glaze, hatch green chile masa cake. Paired with Rococo Coffee Roasting’s single origin “Mexico Reserva Terruno Nayarita”. Tequila has evolved significantly from the old days of salt, shot, lime, repeat. The notion of tequila as a world-class spirit is firmly established and the concept of “terrior” in tequila is now gaining traction. Thus, with tequila consumption at an all-time high, people are drinking tequila on more occasions, experimenting with new labels, and learning to appreciate the nuances of flavor. 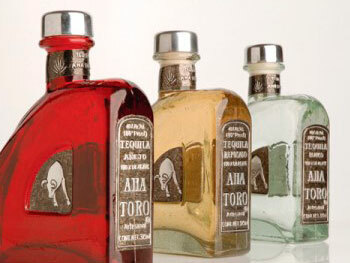 Aha Toro is made by Destilados Olé, a 100% Mexican company in Jalisco, creating tequila as it has been done traditionally for years. The Tequilana Weber Azul variety of Agave plant used by Destilados Olé to produce the tequila is grown just outside of Arandas in the Jalisco Highlands. The climate and soil keep the agave cool year round, lending a very distinctive aroma and flavor. The tequila is double distilled and aged in American oak. It is then transferred to unique blown-glass bottles, handcrafted by local artisans. Join us! 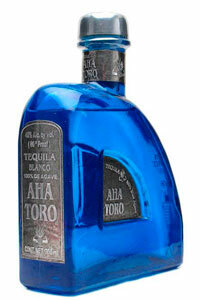 And enjoy Aha Toro and the cuisine of Cactus restaurants. Salud!